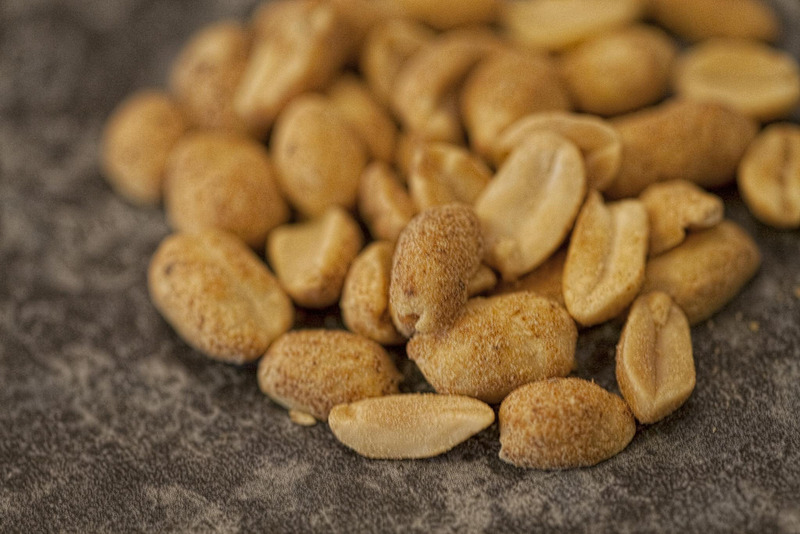 Peanut allergies are among the most fatal of food allergies. An accidental exposure to even a tiny quantity of peanut protein is capable of provoking severe reactions. For kids with these allergies, the killer might also be the cure—as long as it comes in even tinier doses. The results of a clinical trial, published today in the New England Journal of Medicine, show excellent results for a careful desensitization program. The treatment doesnt cure the allergy, and comes with substantial risks, but it could help kids to live their lives without the fear of a peanut-flavored trigger in everything they eat. The principle behind desensitization, or allergen immunotherapy (AIT), is to give the body exposure to the allergen in tiny and gradually increasing doses, teaching it to react less when it recognizes something it considers an invader. In 2015, the Journal of Allergy and Clinical Immunology published a paper detailing the “international consensus” on the treatment, stating that while the technique is uncontroversial for hayfever, there wasnt enough understanding of its uses in treating food allergy. Research on AIT for peanut allergies has been trundling along, but hasnt provided enough high-quality evidence for it to become an approved treatment. Thats why the publication of this phase 3 trial is big news: thats the last stage that drug trials need to go through before the company can apply for the drug to be licensed by regulatory bodies like the FDA. However, that doesn't mean the science on this is done and everyone can go home—there are plenty more questions to be answered, and often more than one trial is needed before approval. This trial involved a huge group of researchers across 66 sites in 10 countries, and they enrolled 551 patients with peanut allergies. Most of those patients—496 of them—were between 4 and 17 years of old, which is part of the main group of interest. All of these participants had taken part in a food-screening challenge that saw them given either oat protein or flavor-disguised peanut protein on one day, and then the other food on a second day. The idea behind this was to be sure that the participant didn't know whether or not they were actually eating peanut—and the person giving them the food didnt know what they were eating, either. Only people who had a reaction to the hidden peanut protein were included in the trial. Then, participants were randomized—one quarter in the placebo group, set to receive a powder identical to the treatment but with no peanut protein, and three-quarters set to receive the treatment. That treatment started out as just 0.5 mg of peanut protein in the initial dose, and over the course of 24 weeks, increased gradually to 300 mg—approximately the same as a single peanut. Then came the maintenance phase: 300 mg every day for another 24 weeks. When the treatment was over, the results were stark. In another food challenge, the researchers tested just how high the participants tolerance had gotten. This started with low doses of peanut protein and, if the participant could take that, upped the dose on the next round. Only eight percent of kids in the placebo group made it through the 300 mg round, compared to 77 percent of those in the treatment group. On the next round of 600 mg, four percent of kids in the placebo group made it through, while 67 percent of those in the treatment group did. And 2.4 percent in the placebo group could tolerate 1,000 mg of peanut protein, compared to half the treatment group. Among the 55 adults tested, the differences in reactions to the food challenge werent statistically significant. Exposing a large group of children to the food theyre extremely allergic to is, to put it lightly, not without its risks. The trial had a high dropout rate of nearly 12 percent in the active group because of side-effects, and nearly all the participants getting the treatment had a reaction during the treatment period, two-thirds of them moderate or severe. This probably isnt entirely attributable to the treatment itself, but it is higher than the rate in the placebo group, less than half of whom had a moderate or severe event during the trial. During the final food challenge, five percent of kids in the treatment group had a severe reaction, and 25 percent had a moderate reaction. This was much lower than the rate in the placebo group—11 percent and 59 percent, respectively—but shows that the treatment and testing came with important risks. “This is not something to start at home,” writes epidemiologist Michael Perkin in an accompanying NEJM editorial. Despite these cautions, theres no doubt that this is exciting and welcome news for kids with peanut allergies. “Most parents would see the regular consumption of a few peanuts by their child as a very small price to pay to keep the potential threat of systemic anaphylaxis at bay,” says Perkin. New England Journal of Medicine, 2018. DOI: 10.1056/NEJMoa1812856 (About DOIs). On Thursday, the U.S. State Department suspended all security aid to Pakistan, announcing a further ..
SpaceX billed Elon Musk's Tesla Roadster as on "an endless road trip past Mars" when it launche..